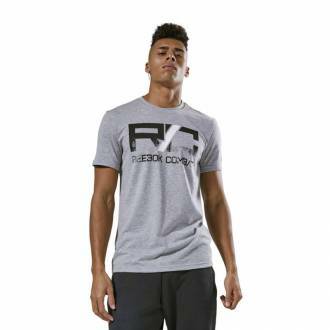 Pull on this mens Combat Wordmark Tee for a go-to shirt that handles itself with class in the ring or around the town. The soft jersey fabric blend helps keep comfort close at hand, while the slim fit and classic crew neckline offer subtle yet flattering style. Značkové pánské produkty Reebok Pánské tričko Combat Wordmark Tee - CY9971 patří do kategorie COMBAT UFC. Produkt koupíte pod kódem CY9971. Tento produkt máme skladem. Nyní sleva 30% na tento produkt.